Social media management is increasingly important to all business, and especially to small and medium sized businesses in Australia. Competition is fierce and successful social media can be critical for success. Customer engagement is key to building your business profile and company awareness on social media, so if you are not using social media effectively then you are missing out on potential customers and sales. What's more is the opportunity to have your audience promote your business for you, and thus increasing brand appeal and organic user generated content. The statistics speak for themselves. Facebook has the highest reach, with six in ten people in Australia using Facebook. It has 15,000,000 unique active Australian users each month, with 50% of the population logging in at least once a day. Most businesses already tap in to the potential of Facebook marketing. But to be effective, it has to be done well. Because Likes don't necessarily mean sales. Nothing But Digital are a social media management company can find new avenues and opportunities to realise your business goals and objectives. We look at likes and conversions, but also the social media your customers use. At Nothing But Digital, our experts are based in Sydney and Melbourne, so they are able to create content that is not only relevant to your business but to your area. We know how our great content can be discovered by potential clients in your locality, and how it leads to increased brand awareness within your industry or market. We are a social media marketing business that can help your small to medium business thrive on Facebook, Twitter and LinkedIn even competing against larger businesses and organisations. Our approach is based around the notion that social media content needs to be well-written, relevant, and tell a compelling story. It is quality, not quantity, that leads to shares; people share the best content, and turn-off when they are bombarded. Social media will get you more website traffic even if your search results are not high on Google’s list. Facebook is the primary go-to social media outlet, and we also run campaigns on LinkedIn, Instagram, Pinterest, and Twitter. Our best advice is to use a social media agency. 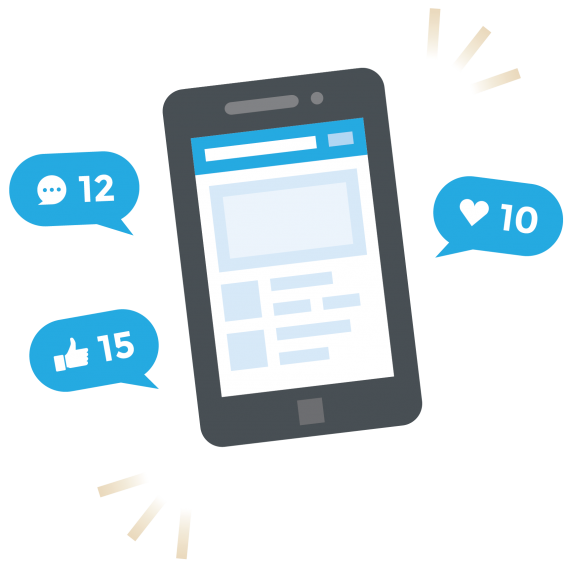 At Nothing But Digital, our social media manager knows what platform suits your business, and we specialise in comprehensive and timely social media marketing strategy. ARE YOU READY TO BUILD YOUR AUDIENCE?